I’ve never used a gaming mouse in my life, so when I got the Logitech G500s to review, I wondered how exactly would it improve my game experience. After some extended play with it, I’m going to add gaming mice to my “don’t knock it until you try it” list, because let me tell you, it makes a huge difference. When I first started using the G500s I’ll admit I was a little intimidated. I have been using a cheap mouse that game with my computer for years so when I placed my hands around this new mouse it felt, weird. It took some getting used to, but the design of the mouse is great and fits very nicely in your hands while gaming. What better is that all the extra buttons are placed so you can access them instantly with a slight move of your index finger or your thumb. 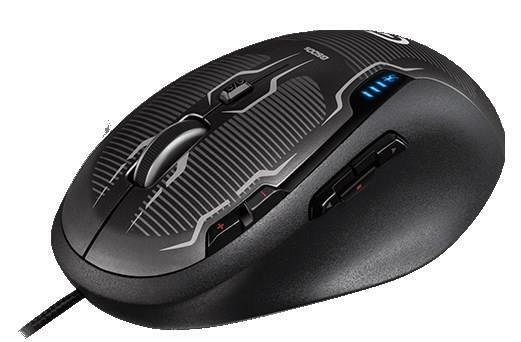 The mouse is light, but has a slightly weighted center which feels great, especially in games like first person shooters or MOBA’s that require quick mouse movements. The mouse is customizable and allows you to change its dpi anywhere from 200dpi to a whopping 8200dpi which is probably the best feature of the mouse and I’ll get to more of that later. Now for the tech savvy interested in the rest of the specs you get 12 megapixels/second image processing, a max acceleration of 40G and a max speed or 4 meters/second. The mouse comes with a nice braided cord to protect it from damage, because I’m sure we all know how easy it is to damage the cheap cords ruining the entire mouse. Finally you can tune the mouse with up to 27 grams of weight and again I’ll explain more about that below. It’s a pretty impressive package and we have only scratched the surface of what it has to offer. Installing the mouse is as easy as plugging it into any open USB slot on your computer. After about 30 seconds the mouse is ready to use. 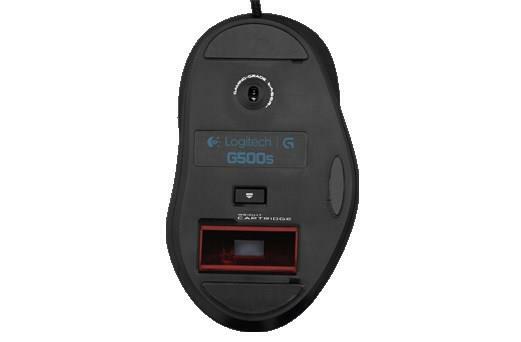 Without the optional software you will still get to use many of the features of the mouse. There are two buttons to the left of the left mouse button that allow you to increase or decrease dpi with a single press. DPI or “dots per inch”, to easily put it, is the movement speed of the mouse. Higher DPI means higher movement speed. There are three more buttons on the left side of the mouse. When outside of games these can be used to go forward or back through webpages instead of having to click the pages themselves. Finally in the middle of the mouse under the scroll wheel there is another button. Clicking this will unlock the mouse wheel. This allows the wheel to spin until it comes to a stop and what this means for you is a lightning fast way to scroll through webpages. This will come into play when scrolling through webpages like gamingnexus.com (shameless plug) as it allows you to simply flick the wheel and you can just kick back and scroll through pages without continuously scrolling with the mouse. Right out of the box and without playing any games, I noticed how much of a convenience these new features were and how much they came in handy. This is a gaming mouse after all so how does it hold up when playing games? I’m happy to say, extremely well. 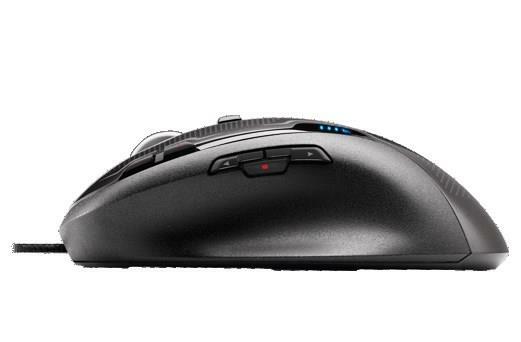 The mouse comes pre-loaded with three different dpi settings which you can change with the touch of a button, but what every gamer needs to do is go to their website and download the free software for the mouse. Now we can customize the mouse to our liking. The software is incredibly easy to use and involves simply clicking on buttons from the mouse and programming them however you want. It’s fast and simple so even people like me who are completely new to gaming mice won’t have an issue with it. With the software you can customize up to five different dpi settings which is an easy as just selecting five different settings in the software and hitting save. This is extremely handy in certain games. In an FPS game, I want a higher dpi when I’m running and gunning as opposed to when I’m sniping. All I have to do is pick up a sniper, aim down the sites, press the dpi down button and I’m good to go. The positioning of the buttons is perfect, making changing dpi as easy as moving your index finger slightly to the left and pressing the button. This allows you to easily switch dpi on the fly without skipping a beat. You can even program the extra buttons on the mouse to act as certain function in game. In Left 4 Dead 2, I programmed the three buttons to turn on and off my flashlight, aim down the sights with a sniper, and to crouch, so now I can easily do these tasks without having to fiddle with my keyboard. In certain games, every second counts so being able to have extra buttons to do things on the fly is extremely handy. This extra buttons could also come in handy when playing MOBA games that include a lot of pointing and clicking. Some moments of these games require lighting quick reflexes so one wrong press of a keystroke could be disastrous. So instead of using the keyboard, why not bind your champion’s talents to the extra buttons, which can be used instantly and without hesitation? This of course is only how I prefer to play and every gamer is different but even so, there are tons of ways for gamers, each with their own play styles, to customize the G500s to their liking. What’s even better and to make things easier for you is that the software comes loaded with gaming profiles. The software will search for the games you have on your PC and for each game you can customize the mouse however you feel and save the profile to that specific game. Now, when you go into each game, your settings will be loaded and you won’t have to worry about changing settings on your mouse. This is an amazing feature and saves everyone a ton of time and frustration. Load up Battlefield? You are ready to go. Switch to Left 4 Dead 2 afterwards? No need to go back into the software and change settings again. Everything will be ready when you load up the game. As I mentioned before, every gamer is different, and to help gamers customize the mouse to their own liking, it comes with weights which you can place inside the mouse via a slot in the back to affect the center of gravity. Just press the button and out comes a little cartridge to insert the weights in. 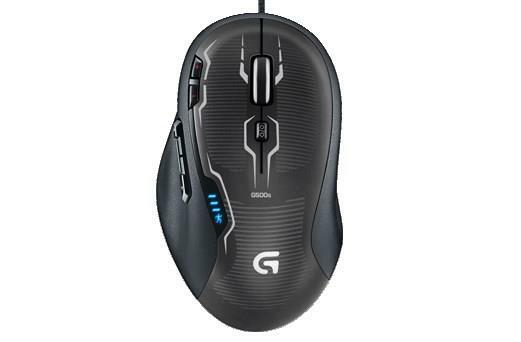 The G500s comes with six 1.7g weights and six 4.5g weights. You can place any combination of six weights into the mouse and they do make a quite a difference when using the mouse. I tried out different combinations to see just how different the mouse feels. I tried to load it up with weight and for me I found it more difficult to use. There are times when I need to slightly move the mouse and for me the added weights made this more difficult. This is probably because I am so used to using a cheap, light weight mouse. I switched out the weights for the smaller 1.7g’s and the tiny bit of added weight felt a lot better. One major complain I have is that the cartridge you place weights in fits too tightly into the mouse. When I press the button to release it, I usually have to shake the mouse to get it to fall out, but that’s more of a minor inconvenience to me. 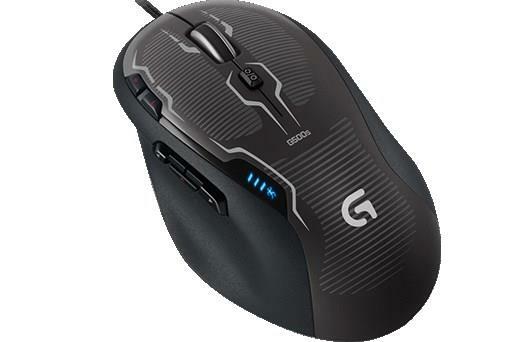 Bottom line, the G500s is a great gaming mouse and I highly recommend it for anyone who is either looking for a new gaming mouse, or is getting one for the first time. Take my word for it. You can’t understand how much of a difference it actually makes unless you try it out. I personally had a lot of fun programming the buttons and inserting different weights until I was able to completely customize the mouse to my liking.